For this one I didn’t read with any children around. I read this one because I thought the cover was just the cutes. 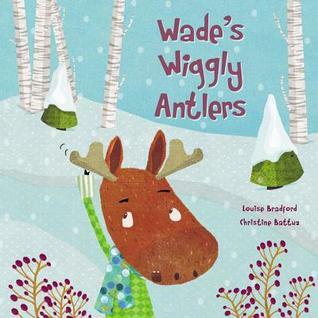 Little Wade is losing his antlers, and while he used to have a little bit of angst when it comes to his antlers, losing them scares him. But not to worry, these are just his baby antlers, so they’re supposed to fall off. Think baby teeth and the happiness/joy that comes after.